I believe in Fiscal Responsibility, Sound Judgement and Practical Leadership. We need to get control of the City’s true budget. With support from the Financial Advisory Committee (FAC), we must begin from a zero-based budgeting platform. All inflows and outflows require justification, including capital spending, infrastructure and maintenance, and staffing. We must assemble a plan to address and eliminate future pension liabilities, with matching tax income to avoid deficits and shrinking reserves. An upgraded City Council needs to make difficult decisions around staffing and compensation. When voting to support Measure E, we chose to close our budget gap – but did so being convinced that those taxes were going to “save the city’s municipal police force,” generating $45 million over nine years. What we were not told – was that the gap was much larger, and that the risks around continuing pension growth were substantial. We need to maintain local control, protect our safety, and find ways to resolve a growing budget gap. The Planning Commission and City Council need to communicate and be in lock-step, with the support of the Homes Association. Preserving the character, culture and charm of our neighborhoods is vital. Effective, balanced application of the NCO is fair. Consistent decisions, respect for guidelines, and positive collaboration with impacted neighbors are each critical. Wise decisions by our Council will protect and retain our City’s rich history: fiscal responsibility, preservation of parkland, reasonable control over wise development, positive collaboration, and enforcing actions and accountability within the City will vastly improve our standing. My name is Michael Kemps and I am running to represent you on the PVE City Council. I grew up here – and my wife, Gemma and I cherish our City, having raised our three children here. At the core of my desire to serve is growing concern around keeping Palos Verdes Estates unique. The sum of my experience brings qualities to effectively contribute and represent you: leading a technology solutions business for thirty years as its founder and CEO, participating on the advisory board of a community bank, involvement with numerous non-profit organizations, and coordinating multiple home and business remodel and construction projects. I believe in fiscal responsibility, promoting transparency, protecting our home values, and ensuring accountability. With the encouragement of many residents and the support of friends and family, I have decided to seek re-election. I strongly believe that the challenges we will face in the next four years will be critical to preserving and strengthening our City’s legacy, and I believe my experience and leadership qualities will help us navigate the road ahead with confidence and stability. PVE residents have a great tradition of active participation in City affairs, often expressed through a diversity of viewpoints and strong opinions. It is the City Council’s responsibility to listen to the community, balance the interests at stake and make decisions that best reflect our collective vision of a better PVE. It is this philosophy that has guided me over my 17 years of service on behalf of the City. If re-elected, you will have my continued commitment to address the issues and concerns of the City and its residents with honesty and integrity. The Honorable Jennifer King is serving her first term on the City Council. She previously served on the Planning Commission and as Chair of the Parklands Committee. She has been a member of the Board of Trustees of the Peninsula Education Foundation and the President of the Board of Directors of the YWCA of the Harbor Area and South Bay. 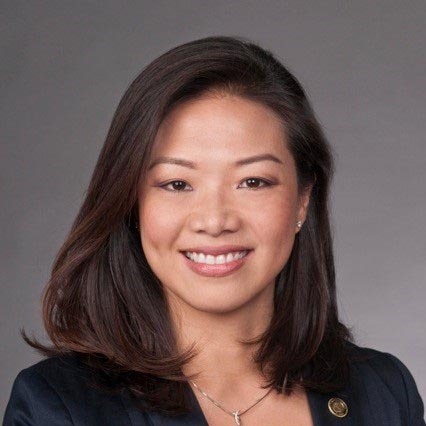 Outside her local community, Councilmember King currently serves as the President of the Los Angeles County Division of the League of California Cities and as a Board Member of the California Joint Powers Insurance Authority. 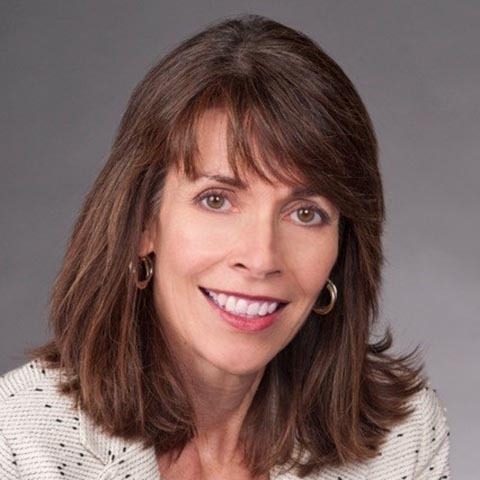 She has also been actively involved with the California State Bar, formerly serving as a member of the State Bar’s Committee on Access to Justice and Committee on Appellate Courts. She chaired the State Bar’s Appellate Law Advisory Commission, which administers the appellate specialization program. She has also taught as an adjunct professor at the University of Southern California Gould School of Law and Loyola Law School. Councilmember King and her husband Steve Cox have lived in Palos Verdes Estates for almost 20 years and raised their three children here. Councilmember King received her undergraduate degree from Stanford University and her law degree from Stanford Law School. She is a founding partner of an appellate law firm and is certified as a specialist in appellate law by the State Bar of California Board of Legal Specialization. Councilmember King is committed to maintaining transparency, enhancing community engagement and preserving the quality of life that Palos Verdes Estates residents enjoy. My name is Victoria Lozzi and I am running for City Council. As the current City Treasurer of Palos Verdes Estates, combined with a 30-year career in corporate banking, I feel that I have the experience to be an effective council member for our community. Since being elected in March 2017, I have been immersed in the financial issues facing our city. Beyond that, I have also had the opportunity to engage with many residents and hear about the issues that concern them. I believe residents want their leaders to preserve the character of our beautiful city, while ensuring the long-term financial stability that will allow us to meet our obligations now and into the future. I believe elected leaders have an obligation to put the needs of residents first, and I am not afraid to speak up on your behalf. We have policies and procedures in place to ensure a wonderful quality of life for all residents, and I am committed to the fair and uniform application of those processes, and above all, transparency. My experience as your elected City Treasurer, as well as my career and volunteer experience, has prepared me for this job, and I respectfully ask for your vote. Elected in March 2017, Victoria Lozzi is serving her first term as City Treasurer. Victoria graduated from UC Berkeley and has over 30 years of corporate banking experience. As a Senior Vice President at U.S. Bank, Victoria is responsible for managing bank relationships with higher education and nonprofit organizations, overseeing $600 million in credit risk. She helps organizations finance projects, implement efficient banking operations and manage investment assets. Victoria’s fresh perspective and strategic approach to the City will help to make Palos Verdes Estates the most efficient organization it can be, while instilling a culture of fiscal discipline. There are three areas in which I have expertise and I’m looking forward to bringing them to the Council. I have spent almost 39 years working for the Los Angeles Police Department. I have been a command officer since 1999. Public Safety is not just about crime; it is about traffic, emergency preparedness, fire protection, quality of life, and community engagement, among other issues. I’m looking forward to weighing in on the numerous Public Safety issues in Palos Verdes Estates. For eight years I was part of the Los Angeles Police Department’s Inspection Team known as COMPSTAT. COMPSTAT is a command accountability and organizational management process wherein every operations command is inspected every 5-6 weeks. The process involves three or four inspectors, of which I was one. We looked at spikes, trends, strategies, measures of effectiveness and options if the current strategies did not prove effective. Those categories were (and still are) applied to crime, arrests, filing rates, overtime, budget, discipline, response time, detective operations, as well as risk management issues, to name a few. COMPSTAT can be applied to our City to identify areas of improvement and to ultimately hold people accountable. I will focus on Transparency in our verbal and written communication. I want to see presentations and reports prepared so regular people, like myself, can read and understand them. It should not require an attorney, engineer or forensic accountant to understand City communications. I have been a resident of Palos Verdes Estates for 21 years. My wife and I have raised two daughters who attended Palos Verdes Schools. We participated in many local sports over the years and remain active with Public Safety (Fire and Police accounts for 66% of the budget). I will bring a strong public safety and operations background to the Council. I have been a member of the Los Angeles Police Department since 1980 and I’m currently a Commander overseeing900 sworn and civilian employees. My responsibilities include risk management, strategic planning, overtime management, productivity and discipline in addition to overseeing sensitive and high-profile investigations. In addition, I serve on a board for the Los Angeles Police Relief Association (LAPRA). I have been an elected member since 1996 and President since 2010. LAPRA is a non-profit corporation that provides health insurance benefits for more than 16,000 members. I am also serving my second term on the PVE Traffic Safety Committee and I wish to continue to serve you as a member of the Palos Verdes Estates City Council. I have been successful because I keep an open mind, listen, make my own assessments and hold people accountable! David McGowan currently serves on the City of Palos Verdes Estates Financial Advisory Committee (FAC) and is a retired Partner with the international accounting firm, PricewaterhouseCoopers LLP (Pwc) where he specialized in financial analysis and course corrections for the long-term for the legal community, corporations and government entities. David's financial acumen and leadership skills would enhance the City Council decision-making capabilities. - Maintain or Augment service levels - Especially in Safety! Having lived in Palos Verdes Estates since 1990 and graduated from PVPUSD schools, I feel honored to contribute back to our community. With my business background, common sense, and ability to create synergy, I know PVE can move towards an even better future. I have and will continue to bringing fresh vision and vitality to the City Council. I am committed to representing our residents and motivating people to work together to find solutions for the issues that our community faces. Please vote for me so I may SERVE the community again. Betty is a 29 year resident of Palos Verdes Estates. Born in Taiwan, Betty's family moved to Palos Verdes Estates in 1990. She's a graduate of the Palos Verdes Peninsula Unified School District and went on to pursue a degree in Business Management at California State University at Long Beach. Betty, and her husband, John, feel fortunate to raise their sons in this beautiful city where she grew up. Having had experiences in Marketing, Counseling, Business Management, Construction Management, Real Estate, and one term on City Council, Betty knows her wide range of tools and knowledge will make her even more effective in her 2nd term.